Belmont students from the College of Business recently participated in the 2015 CIBER Case Competition among six other universities including Florida State, San Diego State, Purdue, University of Vermont, University of Maryland and University of Connecticut. The team, made up of Parker Higgins, Evan Metcalf, Maggie Fincher and Jackie Tomlinson, worked on business cases with three students from universities around the world and had one day to complete and present the case. Higgins (having only three teammates) successfully presented his case and wowed the judges, his fellow students and those in the audience. 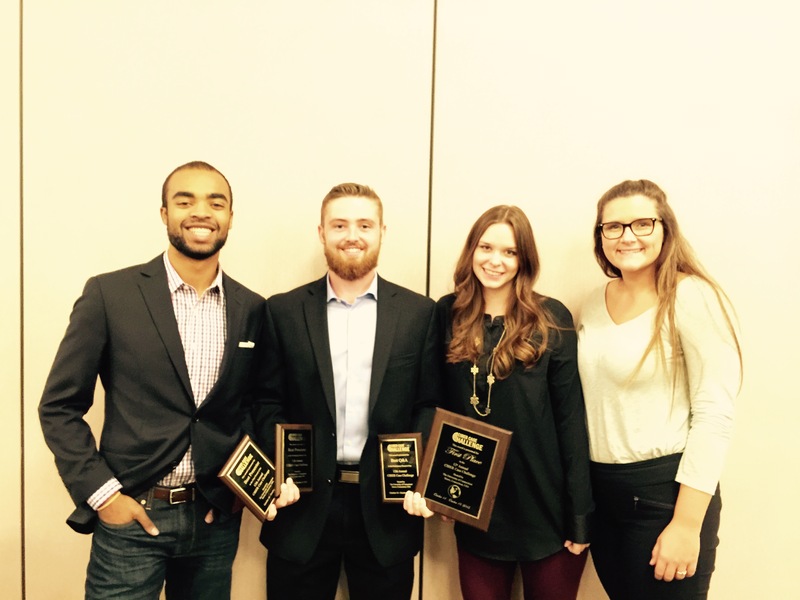 For the first time in CIBER’s history, Higgins swept three of four individual awards including Best Presenter, Best Q&A in the Preliminary Round and Best Presenter in the Final Round and led his team to win the overall case competition. For more information on CIBER Case Competition, click here.